After working a few more samples this stitch sampler was completed. 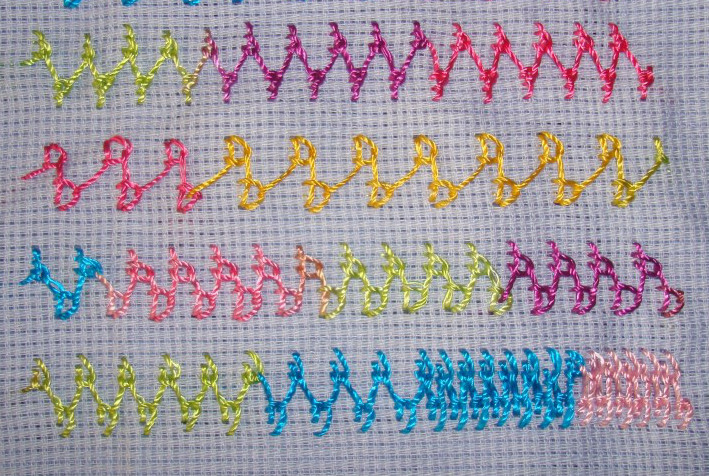 In the first row, the top and bottom stitches are worked at different angles. Two looped cretan stitch rows worked together [one over the other] forms the second sample. Two loops are made on the cretan stitches in the third sample. Two buttonhole stitches are made after the loop in the last sample. I enjoyed working on this stitch sampler. This stitch is very versatile to combine with other stitches. I was not paying attention to the thread colours, they were all polyester threads. 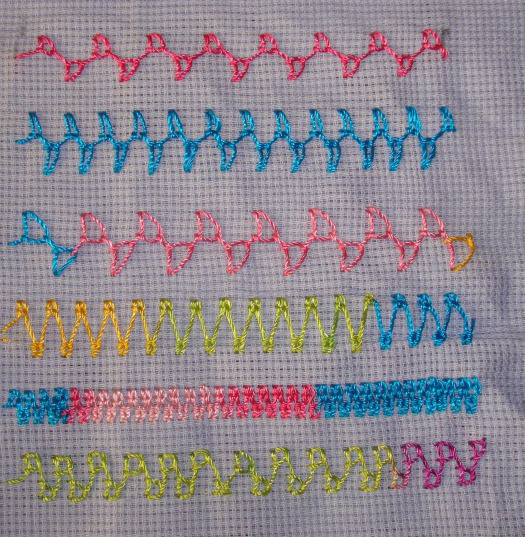 Today I experimented with this stitch on this sampler. 1.The loops are worked shorter than the cretan stitches in the first row. 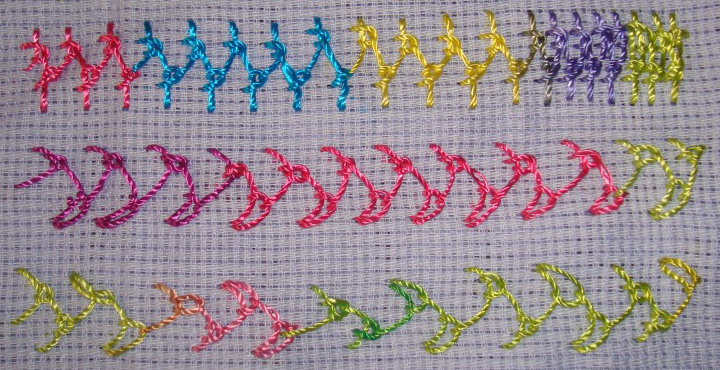 The stitches are worked at straight angles in the second row. The loops are worked short than the cretan stitches in the top and are worked normally in the bottom in the third row. The loops are longer than the cretan stitches in the fourth row, this treatment continues on closely worked stitches on the same row. I always felt that cretan stitch when worked closely resembles a braid,when the edges are treated differently, like this long loop variation, the braided effect is more. Phew..! 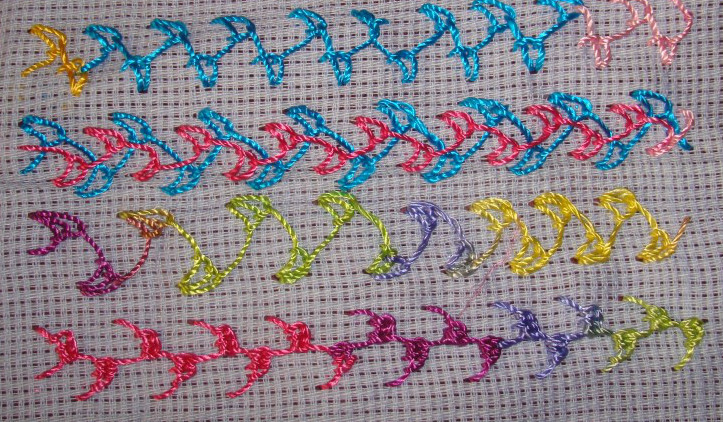 2.The short loops cross over the cretan stitches in the first row, the last few stitches are closely worked the same manner[for the braid effect]. The crossed short loops and long loops combination on cretan stitches is worked in the second row. 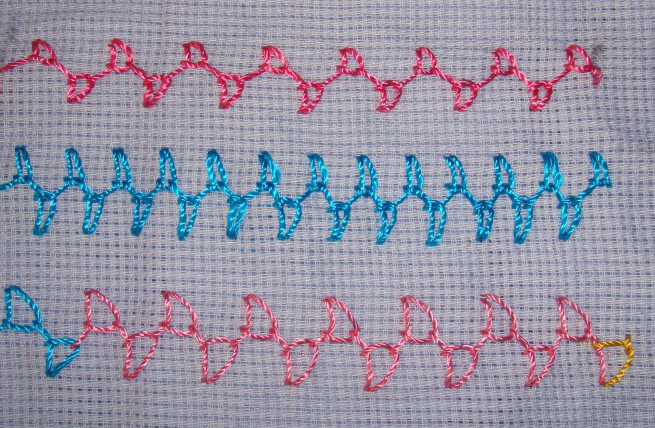 Two stitches with shorter loop and two stitches with normal loops are alternated in the third row. This row , I wanted to try an idea of working flowers or beads between normal loops which can be used as leaves. But I am not working any other treatment now on this sampler. These samples were worked yesterday. 1.The loops are worked very near the long and narrow version of cretan stitches in the first row. The cretan stitches are angled towards the left in the second row and angled towards the right in the third row. 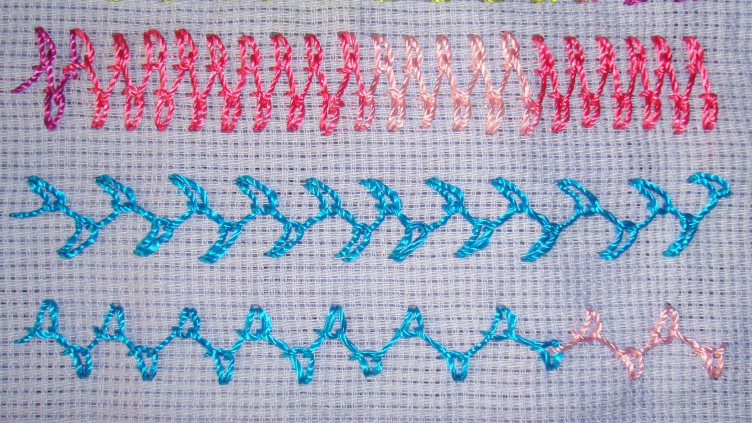 2.The top stitches are shorter than the bottom stitches in the first row. The short looped cretan stitches move alternatively up and down on one side in the second row. The stitches on both sides are worked very close to the centre in the third row. This is a lovely stitch introduced by SharonB on this TAST 2014 challenge. 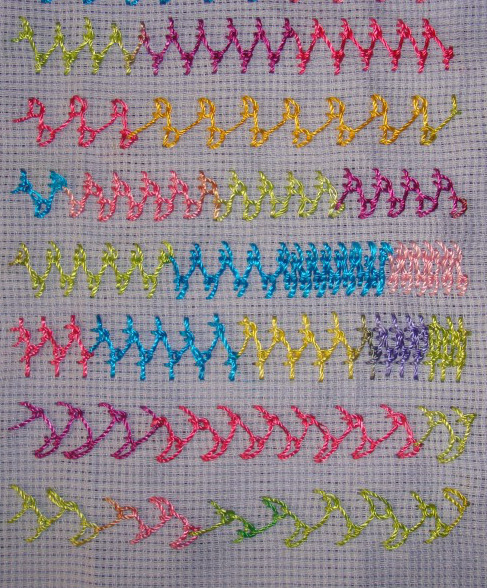 I have started working on this sampler. 2.Small stitches are worked through the fabric in the first row. 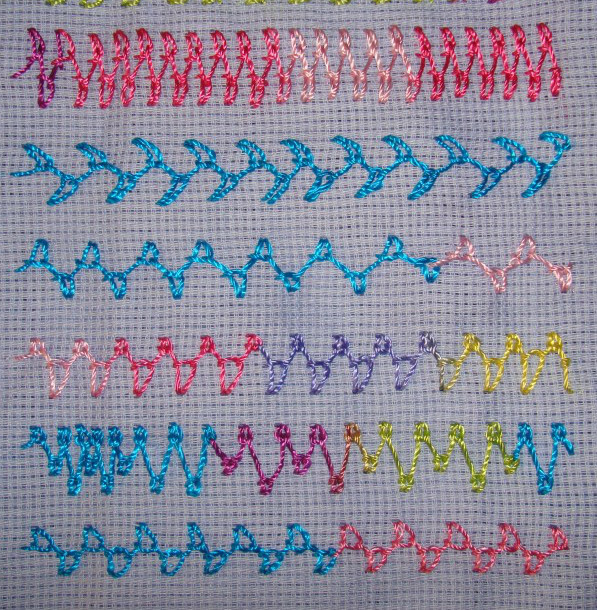 The stitches are worked closely in the second row, I like this. The loops are worked at right angles to the cretan stitches in the third row.